WINTER PARK – Winter Park Resort’s head freestyle coach Freddy Mooney has joined Team Canada, with whom he will serve as technical coach for the Men’s World Cup Mogul Team, working with some of the planet’s best mogul skiers. After 12 years working with Winter Park Competition Center athletes, the last five of which he was head freestyle coach, Mooney will now coach turns and be a fill-in strength adviser for Team Canada’s A and B Men’s Mogul Groups, which includes athletes like Mikael Kingsbury (currently ranked No. 1 in the world), Phillipe Marquis and Marc-Antoine Gagnon, all of whom represented Canada in the 2014 Winter Olympics in Sochi. Mooney will have the opportunity to travel with the team to this year’s World Championships in Austria, the 2018 Winter Olympics in Pyeong Chang, South Korea, and various World Cup competitions throughout the world. A Grand County native and graduate of Middle Park High School, Mooney spent 29 years in the Winter Park Competition Center as either an athlete or a coach, competing as a member of the United States Men’s Freestyle Ski Team from 1999–2006 and also appearing in the Warren Miller film “Off the Grid” in 2007. As coach, Mooney mentored Winter Park’s best athletes while also serving as architect of the Competition Center’s Sports Science Program, which incorporates strength training, nutrition, sports psychology and fitness testing in an effort to maximize an athlete’s total potential. 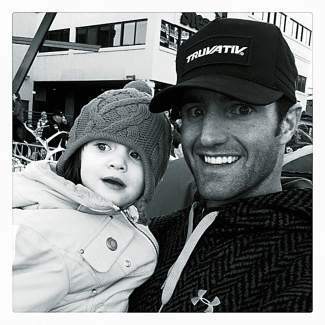 In the summer, Mooney served as race director for Trestle Bike Park’s Gravity Series, where he organized the entire series as well as designed and set race courses for the Enduro World Series. Mooney is the son of the founder of Winter Park’s Freestyle Team, Laurie Mooney. He, his wife, Carol, and daughter Bella will continue to live in Grand County while Freddy coaches with Team Canada.